Do you podcast? 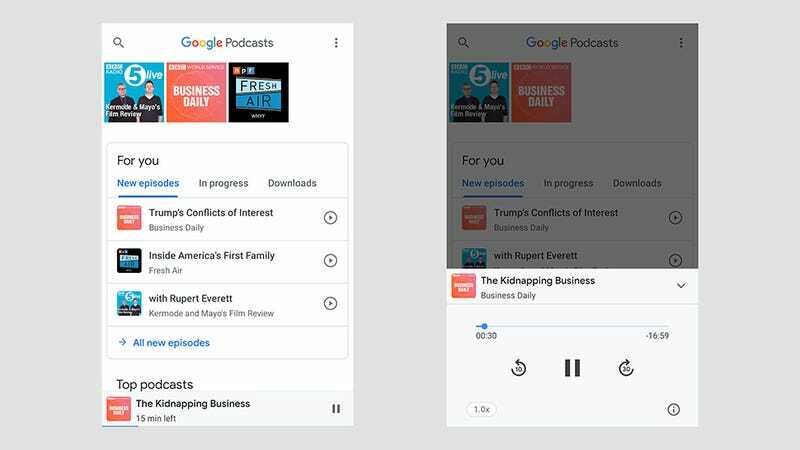 Google has a new app out for Android that’s ready to download and play all your favourite pods. 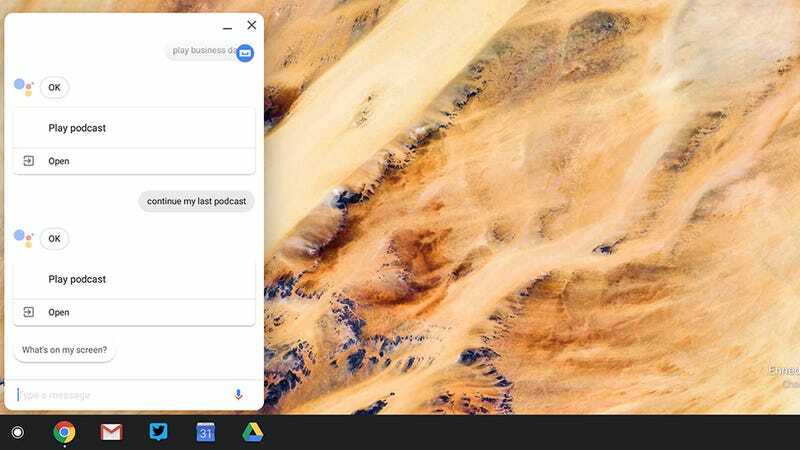 While the functionality is a little on the bare-bones side for now, it does have one ace up its sleeve — the ability to play your podcasts across all your devices with the help of Google Assistant. Here’s how it works. A quick visit to the settings screen emphasises how lightweight Google has kept this app, at least for now — your only options are to choose how long completed and unfinished episodes are kept around. Gathering all our Google-powered devices together, we put this to the test, and indeed it seemed to work as advertised — at first. Say “hey Google, play [podcast name],” and it continues playing from where you left off on your phone. You can also say “continue my podcast” if you prefer, and also jump to the next podcast in the episode list. 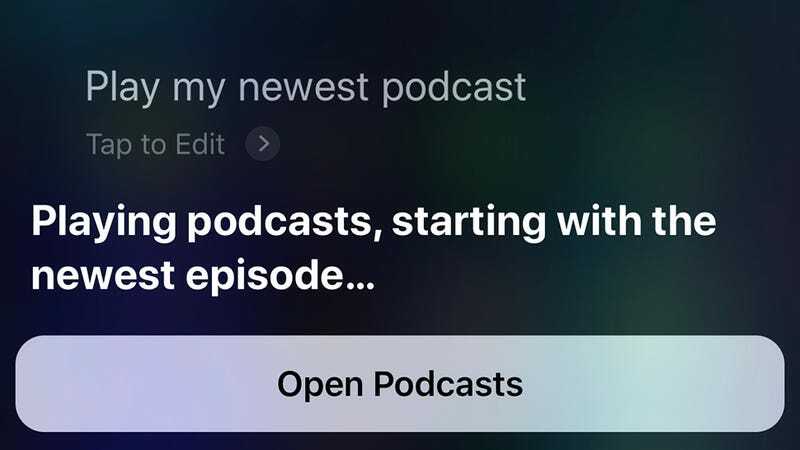 We successfully carried on listening via a Google Home Mini, a Pixelbook with Google Assistant integrated, and even the Google Assistant app for iOS — so while there isn’t a Google Podcasts app for iPhones yet, you can at least get at your current episodes in a roundabout way. What didn’t work so smartly was syncing across all these devices. Listening through a Google Home Mini didn’t seem to register in the original Google Podcasts app for Android, which means when we went back to the app we heard the same part of our podcast over again—it was a good episode, but it wasn’t that good. When starting and resuming on Google Assistant devices and apps only, meanwhile, the syncing seemed hit or miss. Sometimes whatever system Google has going on in the cloud seemed to log our listening position, but at other times it didn’t. Presumably this will get fixed over time, but it ruins the magic if the original app doesn’t realise you’ve listened to half an episode on your smart speaker. 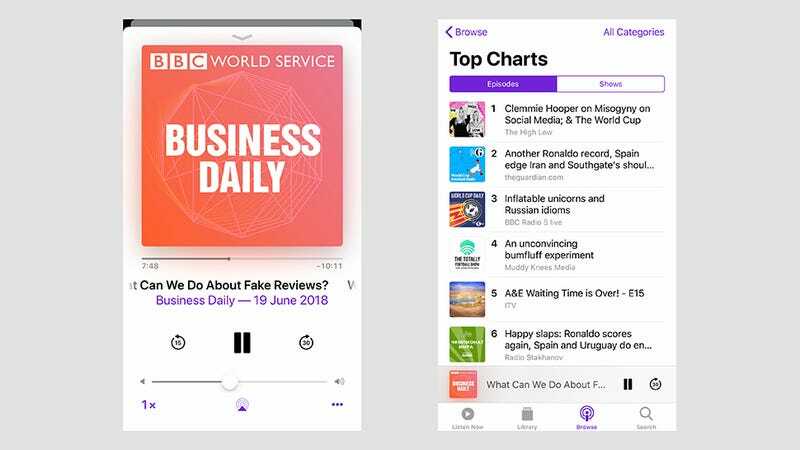 And Apple has invested in podcast syncing, too, thanks to iCloud — it’s supposed to work across iOS, iTunes for Windows and Mac, Apple TV, and the HomePod. We haven’t tested it extensively ourselves, but posts on the web suggest some users have problems getting everything synced up. 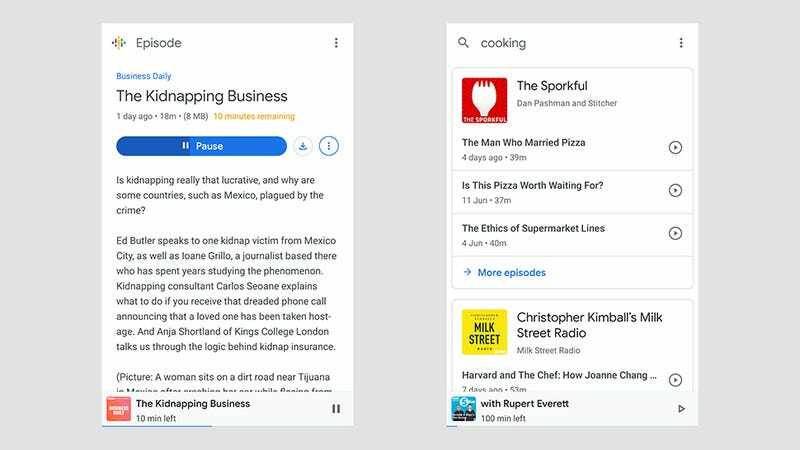 For now neither Google nor Apple can really brag about independently offering the best podcasting experience on their platforms — Google is obviously playing catch up right now, but both services have their strengths and weaknesses. 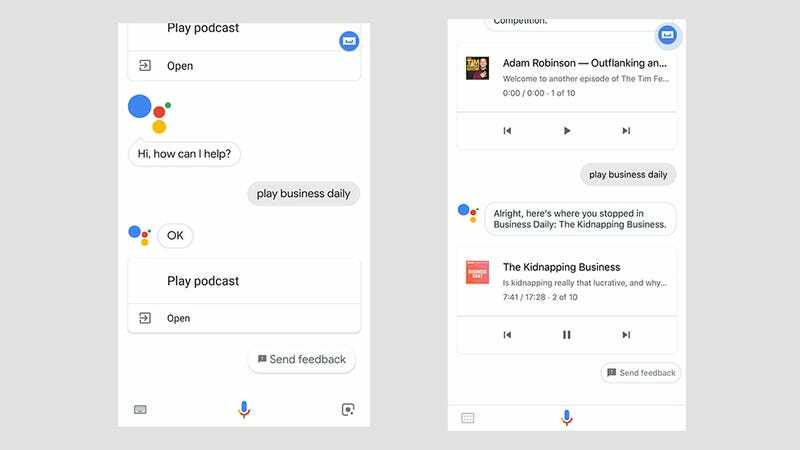 What seems most promising are the features Google says it’s planning to bring to its barebones service. But until then, you may find yourself looking elsewhere for a more sophisticated service.